The fastest growing part of the US economy is health care, mostly due to the ageing population and by 2030 an expected 72 million people will be over the age of 65 that amounts to 19% of the total population. Anyone looking for a career that offers opportunities for advancement and a decent income should definitely give consideration to becoming a State Tested Nursing Assistant (STNA) or Certified Nurse Aid (CNA). An STNA health professional is an integral part of the medical system; some would say the industry would collapse without nurse assistants even though they work under the guidance and authority of registered nurses. A nurse assistant is not a nurse, this is an important distinction to make so patients and their families don’t become confused. Whilst nurse assistants work closely with patients and will often pass on patient information to nurses and doctors, their primary role is to assist. Extensive training is required of all nurse assistants, from their initial 75 hour program before being admitted to the register of nurse assistants, to ongoing training that is expected on an annual basis. The educational requirements to become an STNA or CNA are similar, both beginning with a structured course of between 75 and 120 hours depending on training provider. During the course students are taught basic first aid, medical terminology, taking vital signs and writing up patient charts, hygiene and patient grooming, bed care, feeding etc. Each course will also include a minimum of 16 hours clinical practice in a medical facility such as a rest home. At least every 12 months all nurse assistants need to reset their CPR test, along with ongoing training of procedures and protocols. In addition, to fully assist nurses as they prepare patients for surgery and provide medications, the nurse assistant will be required to demonstrate proficiency of basic tasks such as shaving, making sure the patient is correctly sitting or lying down etc. Job descriptions vary for nurse assistants, but there are certain activities that are common to all, such as helping patients with hygiene and cleanliness, eating and drinking, changing linen, and generally making sure they are comfortable. Bed sores are a major problem for bed ridden patients, and it is the nurse assistant’s duty to monitor their charges to alleviate stress and discomfort. After completing the state mandated training program and examinations, most students will be offered job finding services from their college or training provider. This will be within the state in which the student sits their exam since all nurse assistants need to be registered in the state in which they work. so completing their course in New York, and wanting to work in New Jersey, does mean that the student will need to pass the New Jersey state exam. Positions within the industry vary considerably, and whilst most jobs will be similar, the range of employers can be very different. Public health providers, healthcare corporations, private contracting are all possible, so it is possible to find a position where the duties expected to be undertaken can offer greater opportunities for learning and advancement. For many nurse assistants working in a busy public hospital will give the best possible training environment, especially if further study to become a registered nurse is part of their goal. On the other hand, working in a rest home is more likely to lead to nurse assistants having involvement with community nursing or psychology. 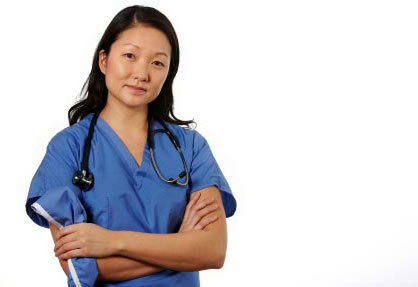 Choosing the employer wisely is the best advice a nurse assistant can be given. Being a nurse assistant isn’t just a job, it is a satisfying and rewarding lifestyle vocation where people are more important, and is a wonderful way to give back to the community whilst being paid. The nurse assistant is a highly respected part of the medical team who quickly develops the trust of most patients, and is appreciated for their commitment to helping others. I have my Health Science Associates degree with Pharmacy Technician as major. After working a few months in this field I realized it’s not what I want to do. I am working as a caregiver in seniors home. I am interested in obtaining a Stna Certificate. What do I need to do?